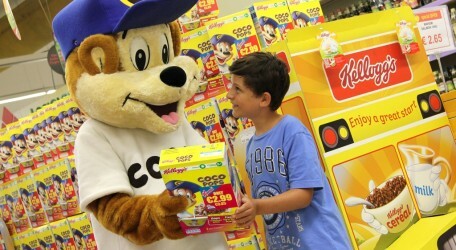 Kellogg’s is offering a free tip ‘n’ sip cereal bowl with its Coco Pops and Chocos cereal packs so that youngsters can kick start their school days in a nutritious, tasty and fun way. To get hold of the Kellogg’s ‘tip ‘n’ sip’ bowl, one simply has to find two unique codes printed on the inside of Kellogg’s Coco Pops and Chocos promotional packs (1 code per pack), and log on www.kelloggs.gr/tipandsip and enter the codes together with relevant details. The children’s cereal bowl will be sent by post at the provided address. The colourful bowl features a “built in” straw, providing a fun way for children to sip up every last drop of milk. These bowls are available in two different designs and feature Kellogg’s family favourites, Coco the Monkey and Cornelius.